It’ll be another two years before the full-length Black Panther film is released. 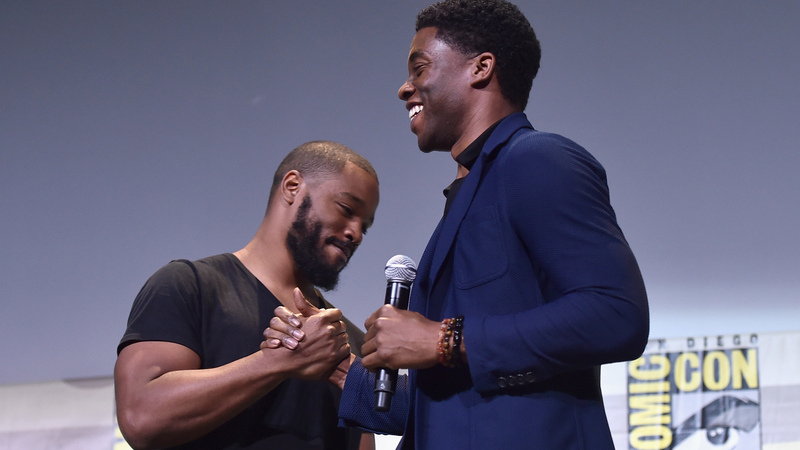 The film — the first time a big-budget black superhero movie will hit the big screen — stars Chadwick Boseman, and audiences got a sneak peek at what’s to come in Captain America: Civil War, released earlier this year. That film felt very much like an origin story for Boseman’s character, and it easily was the most diverse film in the Avengers series we’ve seen so far. Out now is the Blu-ray of Captain America: Civil War, with more than an hour of bonus features. And we have an exclusive clip of Boseman in character and talking about getting into fighting shape. Not that Boseman is giving up the goods on his character’s forthcoming solo film. Instead, he’s focused on the visual power in bringing the story of superhero T’Challa, the heir to the fictional African kingdom of Wakanda, to life. That story is rich, and the character has forced him to think about his own lineage. The role is physically demanding and Boseman is focused on increasing his athleticism. “Running, swimming, and actually fighting — you’re limited at a certain point when you get closer to production because it’s an insurance risk. But actually doing … martial arts and trying to make it as real as possible … sparring. We did stunt training, you can’t necessarily hit people [but] there is some contact every now and again,” he said. This role, albeit based on a comic book character, is on-brand for him. Boseman’s biggest roles focus on strong male historical figures. In 2013, he portrayed the legendary Jackie Robinson in 42. He chased that as James Brown in 2014’s Get On Up, and soon we’ll see him as groundbreaking Supreme Court Justice Thurgood Marshall. He also co-starred opposite Kevin Costner in 2014’s Draft Day, where he played an NFL draft prospect. Boseman’s high-profile presence on Vanity Fair’s 2014 Hollywood cover confirms that the industry is paying attention to the 2000 Howard University alum, who also graduated from the British American Drama Academy. That’s meaningful, of course. But he doesn’t want to be the only one. The Black Panther film so far features Lupita Nyong’o, Michael B. Jordan, Danai Gurira and is written and directed by Oakland, California, native Ryan Coogler. Boseman, clearly, is the star of the film and possible franchise. But Jordan, who also has been anointed by Hollywood as a must-watch future box office superstar, will exist on the screen alongside Boseman. Two black men. In a high-profile film. On screen. At the same time.